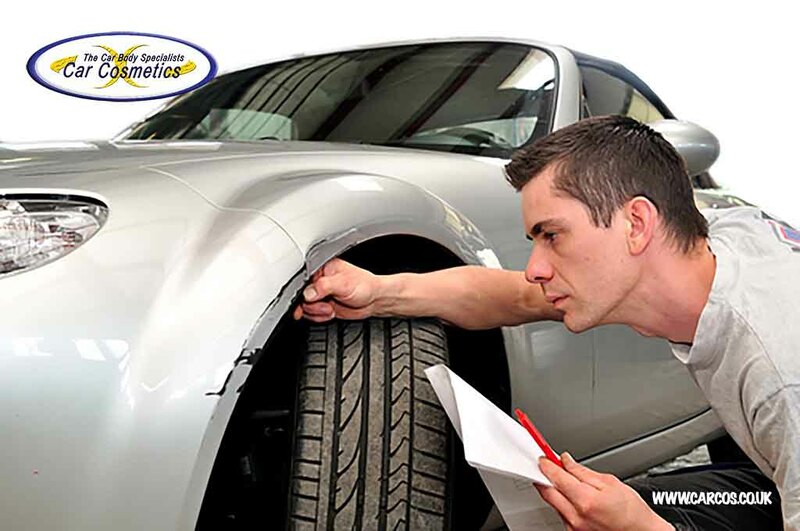 Car Cosmetic Solutions Ltd. is a leading facility in the arena of car repairs. We provide you with convenient, workable, easy and affordable solutions for any problem that your vehicle might come across. Bumps and scratches on the body of your vehicle is an inevitable reality. Every vehicle owner acknowledges this fact and this is where our fleet of mobile vehicle repair service vans comes in. Our service is exemplary, and in the context of this premium quality of our service, our prices are quite affordable. Moreover, we save you heaps of time and inconvenience by coming to your doorstep. We can repair panels, doors, bumpers, and anything you might ask for at your relative ease. Furthermore, our experienced and skilled technicians make sure that you are not just satisfied, but also delighted with the results. So the important question which sprouts its head at this juncture is that how much will this car repair cost? The repairs took a long time. In some circumstances, these repairs might even cause additional damage. By whom was the vehicle repaired? What was the quality of the repairs? How much time was taken for the repairs? Let’s consider each of these domains before moving on to the service provided by us and approximate repair costs for, different car repairs. What are my rights when wanting to use my preferred car body repair shop? Follow this link to find out. 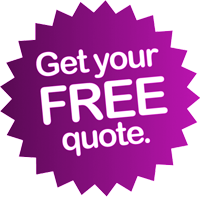 If you’d like a quotation for an insurance claim, please follow this link. There are two options when it comes to the repairer of the vehicle. Either you as a consumer can choose the repairer or repairing company, or the insurance company would choose one for you. If the quality of the work done by a repairer who was chosen by the insurance company isn’t satisfactory then the insurer is held to be liable for the damage. On the other hand, if the consumer chooses a repairer, then he/she is responsible for it. The insurer would be deemed liable to some extent only if he/she tried to take the repairs under his/her control by determining which parts ought to be repaired, by advising which repairer ought to be hired, by negotiating the repair costs, by overseeing the repair progress or by certifying whether the repairs have been able to pass a specific quality test and are deemed satisfactory. How much time was taken for the completion of repairs? If the repairs are being carried out under the watchful eyes of the insurance company, then the insurer is also responsible for the time consumed by the car repairs. In case of any delays, the company is answerable to the consumer for any distress or inconvenience. While ascertaining the required time for the repair, you have to take various factors into account, such as the extent of damage caused, unavailability of spare parts, etc. There is another alternative scenario as well. At times, the insurer is also liable to cover any costs associated with any replacement vehicles which the consumer might engage during the repairing period. 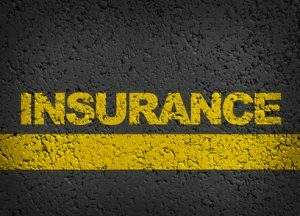 However, the way the consumer conducts himself during this period has a lot to do with whether or not your insurance company will take care of these costs. Yet, if the consumer does spend an unreasonable amount in hiring a replacement vehicle, even then it does not imply that all costs are forfeited. What it means is that only those costs which are beyond what is reasonable would not be taken care of by the insurer. It is also possible that the consumer may not hire a replacement vehicle during the repairing period. 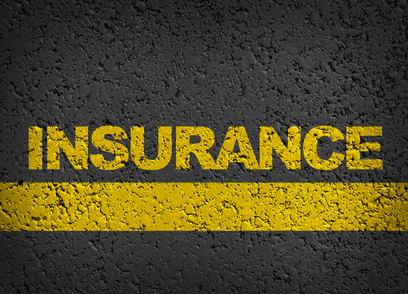 In this situation, the insurer would most likely re-compensate the consumer for loss of use. What was the quality of the repairs vs repairs costs? Either the insurer refuses to pay for damage repairs, claiming that the damage was caused prior to the accident. The consumer might insist that the repair has caused additional damage to the vehicle. He/she might claim that the quality of work is unsatisfactory and that it did not serve the purpose. Pay for the reduction in the vehicle’s market value or, in extreme cases pay for the entire vehicle’s value if it is convenient to write off the vehicle. Why choose us for Repair? These are the three major domains that are closely related to your insurance company. 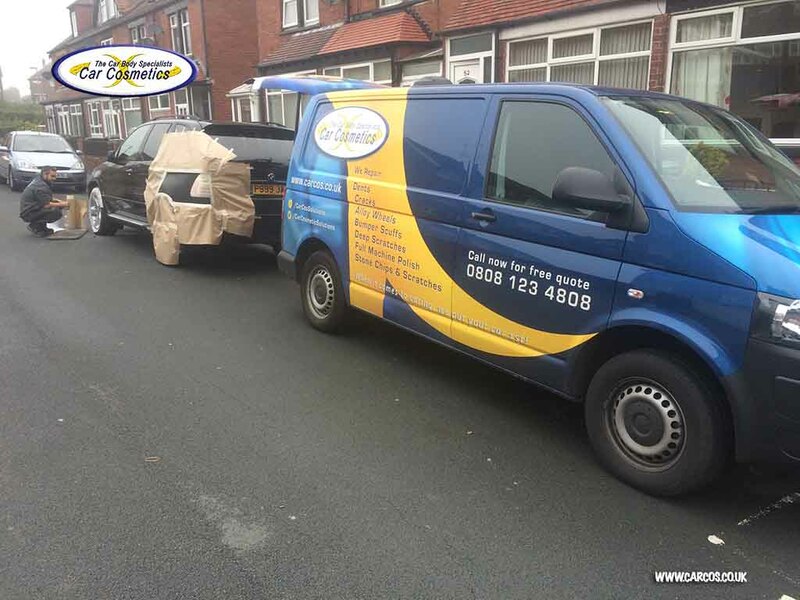 However, we at Car Cosmetic Solutions Ltd. assure you that our repair costs would lie below your insurance excess. Our work quality is satisfactory, and we take minimal time in providing you with premium quality; thus, you would be spared all the trouble which has been described above. Our prices are fixed, we deliver on time, and we can come to your doorstep or workplace to save you from the inconvenience of making a big trip to come see us. Our values, quality and speed are unmatched in the industry and guaranteed. 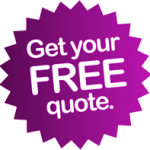 If you’d like a quotation on your car repairs, please follow this link. Below, we have drawn out an estimated outline for repair costs. We’ll be starting with car scratch repair costs. Car scratches, no matter how deep or otherwise can ruin your car paint. These scratches are not only unsightly, but they may also result in other damages to the surface of your vehicle such as metal corrosion and rust. However, understandably of course you wouldn’t want to spend a fortune getting those car scratches fixed. It is very important to get those car scratches fixed, yet you need to understand the four basic types of paint scratches primarily. These scratches are very light on the paint surface of your vehicle they do not require a painting job since they have not made it past the clear coat layer of your vehicle. These light scratches can be taken care of at an estimated price of £60 -£96 inc VAT. This type of scratch/scuff is a tad tricky since it not only needs fixing but painting as well to take care of the job. It doesn’t matter if the paint scuff is a small one. Once the scratch has hit the paint, you will have to re-paint the entire layer. The cost for this paint job may lie anywhere between £90 and £168 inc VAT, depending upon the extent of damage done. These scratches are pretty deep, as the name itself suggests. Generally, these car scratches have penetrated deep into your paint’s surface and, additionally, expose bare metal or plastic. A perfect repair of these deep paint scratches might take £144 to £240 inc VAT. If you’d like a quotation on your scratch repairs, please follow this link. The next on the list are the repair costs associated with car bumpers. 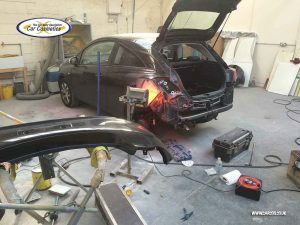 As with car scratches, car bumpers and their role in your car needs to be understood in order to understand the costs associated with them. The costs associated with the repair of bumpers may tend to surprise you, but it is mostly because of an outdated understanding of what a bumper is. Previously, a bumper was merely a piece of metal or even wood present there to take damage when the drivers bumped into things (hence where it gets its name). However, with the passage of time, vehicles have become more and more complex. Now, bumpers perform a variety of other functions as well in addition to providing support against damage and have become an integrated component of car design. Owing to this reason, the repair costs associated with the repair of car bumpers have risen. Nowadays, removing a bumper doesn’t mean loosening a few bolts. Instead, the repair and replacement of bumpers asks for much more. These bumpers are connected with a variety of other vehicle systems too, and disconnecting all those systems requires time and effort. These systems include lights, airbag sensors, airbag intakes and other warning systems incorporated inside them. Removal of these parts or systems may consume a couple of hours, with an hourly labor rate of £60 inc VAT. Bumper repair involves its removal as well as fixing. Usually, the repair is in conjunction with a paint job as well. However, before painting, any damage caused to the bumper needs to be fixed. This damage repair might involve plastic repair materials or fillers to take care of cracks and other dents. The ultimate goal is restoration of the bumper to its original state. At times, it may happen the bumper is so damaged that it gets beyond repair. In such situations, it has to be replaced. A replacement generally costs £300 to £700. However, if the other vehicle systems associated with bumpers get damaged too, then it may propel the cost up even further. If all of these separate components are added together, then an average cost of a bumper repair would probably lie in between £600 to £1,320 inc VAT. If you’d like a quotation on your bumper repairs, please follow this link. Dents are a very common occurrence with most drivers. It is nearly impossible not to end up with a small dent now and then. Since these occasions may arise rarely if not frequently, you must know how much it might cost to fix a car dent. The size of the dent and the extent of the damage caused is a crucial factor in determining the cost of this dent. At times, the position of this dent can also be a determining factor. 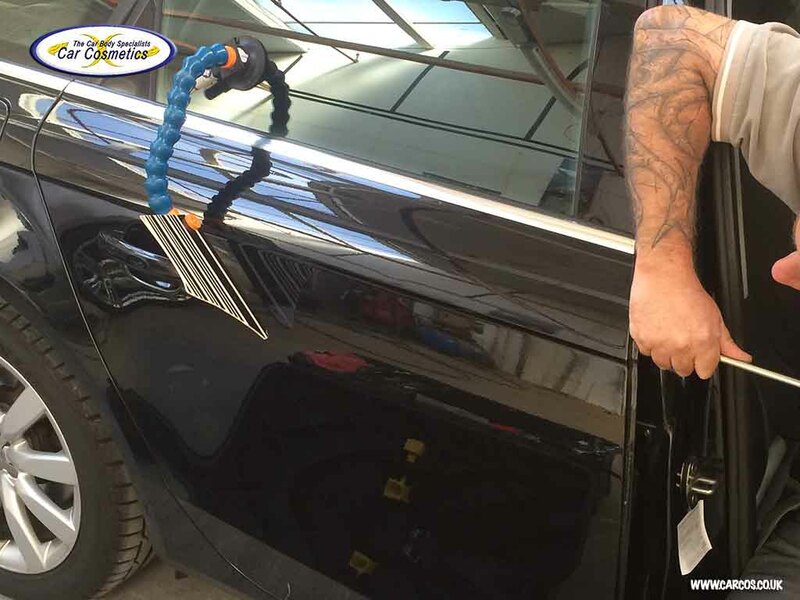 It is possible that the repair of a small dent in an awkward position may cost more as compared to a relatively bigger dent in an easy and accessible position. PDR (Paintless dent removal) might start from £84 inc VAT and may go higher depending upon the size and position of the dent. If you’d like a quotation on your dent repairs, please follow this link. 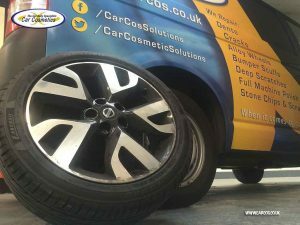 An alloy wheel repair cost also depends upon multiple factors, such as whether your wheel has a painted, polished or machined finish, the profile of your wheel, the extent of damage caused to your wheel and the depth of this damage. Generally, the repair costs of a light scratch may start from £60 inc VAT and go up to £84 inc VAT for a wheel which is scratched around the edge. Also, the repair costs of wheels which are damaged across the face might lie somewhere around £96. These prices are for painted wheels. On the other hand, the repair costs for a machined wheel may range from £90 inc VAT to £144 inc VAT. If the wheel has to be entirely remachined again, then the cost can go as high as £114 to £156 inc VAT. The complexity of the wheel’s profile has a lot to do with determination of the cost. The refurbishment price for diamond cut alloy wheels also varies. These wheels can be refurbished to look as good as new. They can then be done in standard colours or custom colours, and the price of both options vary from one another. The above information might serve as a cost outline for you and prepare you mentally so that when you actually start getting your vehicle repaired, you are not taken by surprise. However, every individual damage case differs from the other and so does the associated cost. Our experts at Car Cosmetic Solutions Ltd. can analyze your individual case and draft out an estimate of repair costs for you. If you’d like a quotation on your alloy wheel repairs, please follow this link.